We promote your ads through google adwords which attract more customers to our website. Web Bazaar's mission is to take a million small businesses online. Starting in 2008, we have built a company on the foundation of customer delight, transparency and professionalism. Web Bazaar is a web design company in Bangalore, Mumbai, Delhi, Kolkata, Chennai, Hyderabad, Lucknow, and Pune. We have more than 3 offices across India in Bangalore, Mumbai, Delhi, Kolkata, Chennai, Hyderabad, Lucknow, and Pune. We are proud of building online presence for more than 10000 small businesses in cities like Bangalore, Mumbai, Delhi, Kolkata, Chennai, Hyderabad, Lucknow, Pune. As an established website designer in Bangalore, our primary focus is in offering a complete peace of mind service at an affordable price. Whether it is our easy to use CMS system, our extensive design gallery, our packaged integrations or our affordable prices - you would find that our service is designed giving highest priority to your requirements. Our process centric approach helps us achieve highest customer satisfaction which reflects in our 85%+ renewal rate. Some of our happy customers have even recorded video testimonials for us. All Web Bazaar websites are hosted on Amazon cloud which offers unmatched reliability. The support that Ms Shital and team has given to us has been simply outstanding with responses and changes effected mostly within a day's time. We are thankful to Ms Shital and team for their excellent support and hope to grow the business with Webbazaar as our partner in the future. I have worked with Web Bazaar since the past few years and it has been a great experience. The staff was extremely professional in every aspect and understanding of my needs. 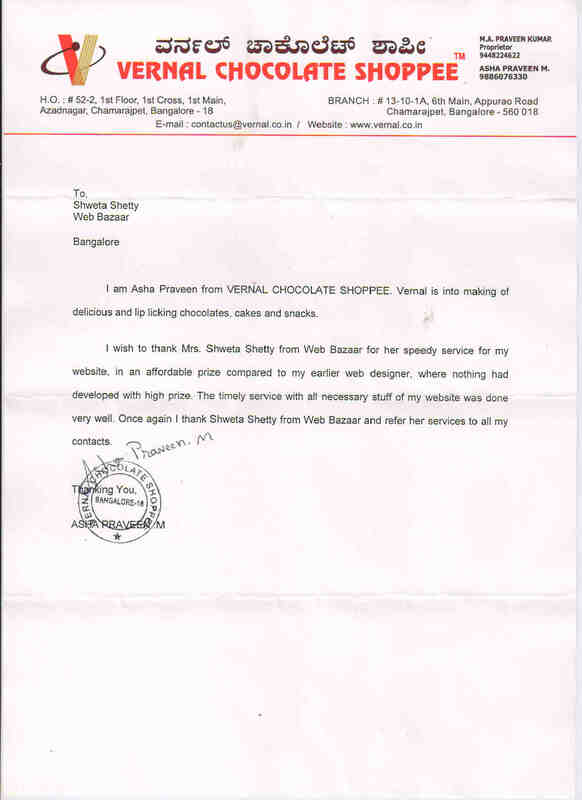 When we approached Ms Shweta of Webbazaar for getting our website done. We booked our domain name but we could not give them content. Their team member even helped us in writing the content. I am extremely happy with your work, I got the best value for my money. Our website looks extremely professional I won’t hesitate to recommend your company to all my clients . I would like to thank you and the Webbazaar for designing my website. I am very happy with the entire design of all the pages. I am sure you will continue to give me all the support. Thank you once again. 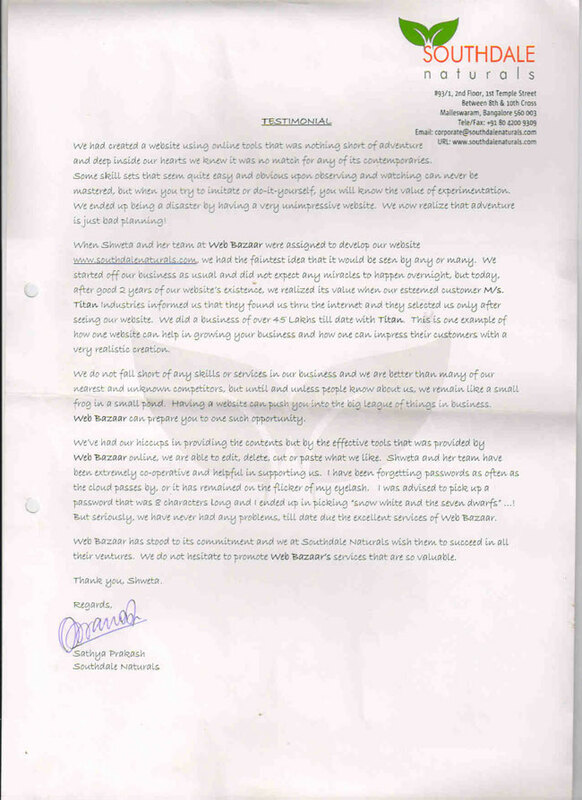 I had very good response and co-operation from Web Bazaar staff. Especially the way they interacted and guided was very good. All our friends have a word or two in praise of the website and YOU guys deserve all the credit. Cheers to Team Webbazaar. 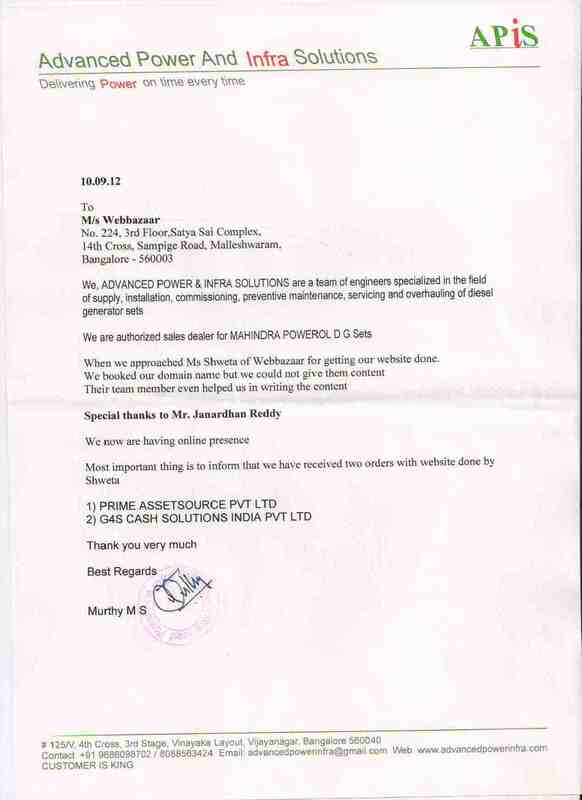 The services rendered by Ms. Shweta and her team were extremely good . I really liked the professional way of working by each member of the team right from sales to training. The website has really turned out great!! Looks classy, I am really pleased.